Biometrics are your username, not your password. All ‘passwords’ should be replaceable. If your credit card gets stolen, you can block it and get a new card. If your Aadhaar number and fingerprint are leaked, you can’t change it, you can’t block it. That clinches it for me. If my password gets stolen, I can reset it to something new, something stronger. What do I do if my fingerprint is my password? Can’t get a new fingerprint. Can’t get a new retina, or DNA either. And they’re all a fair bit easier to steal than a strong password. Sure, use biometrics to identify if you want. But follow the identification with authentication (with a password, or more), before giving that identity any authority. Why don’t Android phones sold in India come with Google’s Indic keyboard set up as default? Specially for phones that don’t ship with proprietary/3rd-party keyboards, doesn’t it make a lot of sense to pre-install Indic keyboard over the default English keyboard? It’s such a small step, yet can be quite a big enabler for the users (and, even, possibly a differentiator) – using the power of defaults to deliver a better user experience! great design makes things clear. I’m sorry. This is yet another post1 on more UX/UI mess that keeps bothering me. Starting with something I recently started using after 8+ years – Facebook. FB earned a reprieve from the tech press after its change of heart on native smartphone apps. But their Android app is still way below par for what is the primary user interface for vast proportion of their users. Facebook states that stories/posts that are posted natively get shared more widely to the followers, compared to those posted as links. Yet, the mobile interface makes it practically impossible to click-through to read those very natively-posted long posts. My pet favourite object of splash screen hatred is the MyFitnessPal app. It has not one, but 2-step splash screen. The first one shows a progress bar, which I assume shows the status of data stored locally on my device. This is followed by another phase of splash screen madness under the Synchronising data title with a rotating symbol this time (so no indication of progress). Myfitnesspal – Splash screen stage 2! Only after the local data has been ‘loaded‘, and synchronised with the servers, is the user allowed to see the app UI. And despite this, the headline daily dairy numbers they show on landing screen is wrong most of the time. Specially if another app (Garmin Connect for me) has synced exercise calories with MyFitnessPal. This feels so wrong. Why can’t they just show me the default landing page UI right away, letting me do what I do on most app uses – log food consumption – as quickly as possible. The changes can all be synced in the background. The multiplicity of logos on the splash screen, as well as several other UI decisions in the app seem to convey that MyFitnessPal has a weak UI/X team being overridden frequently by a politically strong marketing/content team. Text screenshots on Twitter are a desire path across the wall gardens around content in apps and platforms, and Twitter’s text-dominant streams. Twitter cards, though a handicap on pure, free sharing of content, provide a way through the content wall gardens. But even the cards don’t provide the break through text clutter that images do. Specially, on 3rd party Twitter clients. 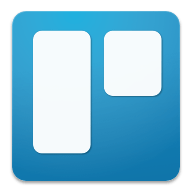 Trello labels – UI delight! A few weeks back when Trello announced their unlimited labels update, I wrote a post about how it broke my usage pattern by significantly increasing keystrokes required to label cards. Just discovered, by mistake, an even faster way to label than I’ve ever used before. Not sure if this is new, or I was just doing it the harder way all this time. When hovering over a card, or with a card open, just press the number(s) of all the labels you want to toggle. No need to prepend it with ‘L’ at all! Here’s how the keystroke count (from the earlier post) looks now. Target: toggle labels 1 & 3. Simply put, the number of keystrokes to toggle N labels has gone from N+2, to 3N to just N.
I’m not just pleased, I’m positively delighted! My love, respect, and addiction, for Trello just keeps on increasing! Posted on December 12, 2014 Categories Design, UXTags Keyboard Shortcuts, Trello, UI, Usage Pattern1 Comment on Trello labels – UI delight! Trello, probably my favourite software out there, implemented an awesome new feature today – unlimited labels. Before today, users were restricted to the 6 system defined labels. We could rename them to what they meant for us, but couldn’t add new ones. This handicap was removed today. Thanks for the unlimited labels, team Trello! However, this upgrade also breaks a very useful keyboard ui pattern. Earlier, I could press L (shortcut for label interface), followed by digits (codes) of all the labels I wanted added, and be done with labeling a card in one go. Now, I need to press L, followed by label digit, followed by enter, for each label separately. Adding 3 labels to a card went from 5 key strokes to 9 strokes. Makes it harder, tiresome. I understand the need to break the earlier pattern because of the possibility of double digit label numbers. These would make it impossible to decipher if L13 meant apply labels 1 & 3, or apply label 13. My suggested alternative: reduce the number of custom labels from UNLIMITED to 26. Then you can use alphabets as codes for custom labels. Now L1C could mean apply labels 1 & C, while L13 would continue to mean apply label 1 & 3. I hope 26+6 labels would be sufficient for most use cases though the teams at Trello would have better data to check the hypothesis. Would love to hear views of Trello UX, design teams. And, thanks for an awesome product! Summarising what I’ve been tweeting about my early impressions of Inbox. Started off being surprised by the app speed, both on the laptop and Nexus 5. The Gmail app had become laggy on the N5 recently, and has been slow for a long while on the web. Inbox was pleasantly, surprisingly fast. (Aside: Gmail on N5 may be slow because of the amount of email that I’ve marked for offline storage. No such setting in Inbox). Getting used to the new sorting concept takes a little effort. While I’ve been using, and loving, Gmail’s automatic labels, they were always hidden away from the view in the main Gmail apps. In Inbox, by default, they’re right there on the main screen, with older email from the primary inbox shoved further down. This can, and needs, to be fine tuned for each user’s taste, but I wonder how many regular users will know how to, or even bother? After more fiddling around with Inbox: I like it on the phone. It’s fast, it’s clean, and gets right to business. On the PC, I still prefer the good old Gmail. Mainly because I’m over dependent on keyboard shortcuts for everything – actions and traversal – which Inbox doesn’t support very well yet. Another observation – people like me who delete unwanted emails, instead of archiving them, might have a few OCD issues with using Inbox. The default ‘mark-it-done’ action just archives the email. Doesn’t even mark it read before archiving. Very bad for my inbox hygiene OCD. Inbox feels like a great tool for people who get large volumes of email. Those with fewer mails may find it an unnecessary complication of the simpler Gmail client. Which makes me wonder, is the Google Inbox a product that answers the need of valley/tech users, or did Google actually research ALL its Gmail users’ behaviour? Treatment of email inbox as a to-do list, and focus on quickly dealing with larger volumes of email, shows Google is trying to respond to the chatter around ’email overload’ and ‘disrupting email’, and building up on work that apps like Mailbox are already doing. My worry is are the chatterati who this app responds to really that big a target market1, or could Google be ignoring the silent masses? The pickup of Inbox, and continuing development of default Gmail app might help answer these questions.
.@julykatrae on Inbox: Google is solving the problem it created by giving away so much space with Gmail. Before it we kept our inboxes lean. I abandoned the Inbox web app on laptop after the first night. It’s become my default app on the N5, though. The UI of the Android app still feels a bit broken, though. Another UI fail that slows me down quite a bit: Can’t quickly run through emails by swiping right-left from an open email to next-previous email. This swipe-traversal made quickly running through the updates folder so easy in the Gmail app – start at first email, and quickly read through all before archiving/deleting them all. Doing the same in Inbox app, requires a lot more tap actions! A final, small hiccup – In the Gmail app, users could save any attached photos directly to Google Drive. This too seems to have been broken in the Inbox app. I like the direction Google has taken with the Inbox app. It may not suit all Gmail users, but for those like me who get a lot of email (and are willing to tune the app to their needs), it’s perfect. It also helps that it isn’t replacing the original Gmail app, which may still be a better option for a lot of users. There are still quite a few UI gaps, which I hope will get filled quickly since the app is still in its early roll out phase.